As I sit in the San Antonio airport I hear an announcement that says free wireless internet. I couldn’t think of a better time to get started on a blog I hope will be the start of something wonderful. I just completed a two day conference that was hands down one of the best conferences I have participated in, and I have attended quite a bit of those. It was engaging, exciting, and full of personal stories like my own. I have spent the last two days with farm wives across six states and I had the time of my life! You might be asking why we all decided to come together, well other than to be typical women sharing stories of spouses, children, family, and of course shopping. We have all become a part of an exciting opprotunity to share our stories, our lives, and our time talking about the thing we all love most, agriculture. 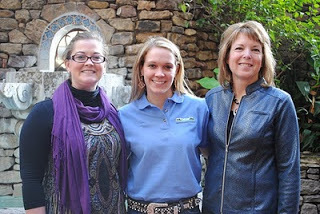 I can not tell you how impacting it was to hear so many other women’s stories in the last few days and realize I am not alone in my passion for agriculture, but most importantly wanting to make the connection with the consumer and to let them know how hard America’s farmers are working to provide for society. Actually, before I had even been asked to become a part of the CommonGround team I had set a private goal of trying to become more of an impact in other’s lives through agriculture. I have played with the idea of doing a blog basically since I joined Triple K Farms over a year ago and this is the perfect chance to do so! Even though pressing post will probably be the hardest thing I have ever done! 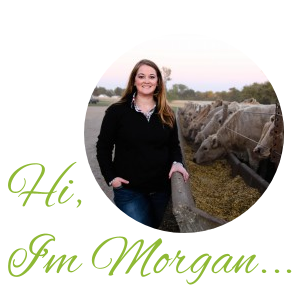 I look forward to sharing my life with you and encourage you to ask questions about my farm, family, or CommonGround!